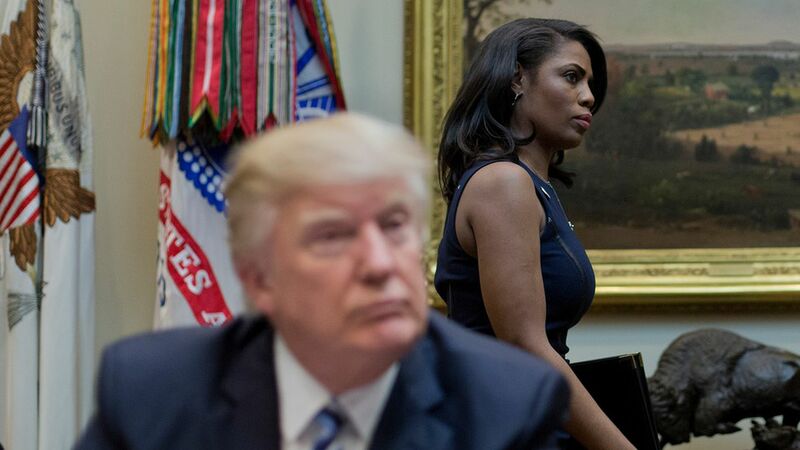 Omarosa Manigault, one of Trump's senior aides, took her 39-person bridal party to the White House one April morning for an extended photo shoot after her wedding, Politico reports. Four current and former White House officials told Politico's Josh Dawsey that Manigault and her friends "loudly" traversed the building and caught many by surprise. Why it matters: After John Kelly took over as chief of staff, Manigault was one of the Trump aides banned from dropping in on meetings she wasn't explicitly invited to. And various officials told Politico that some senior aides and lawyers were not told in advance that she was going to hold this photo shoot on White House grounds.